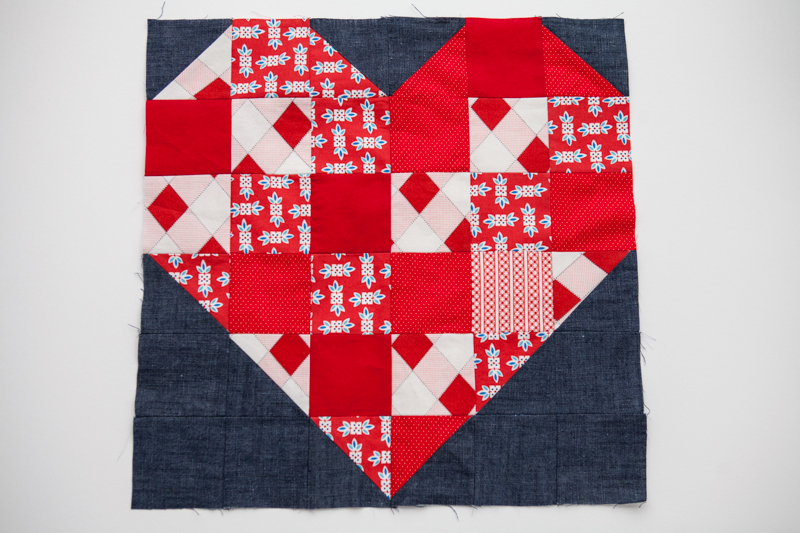 Inspired by this heart mini quilt and patchwork heart mini... I pulled out my red scraps bag and went to town. When I first did the measurements on this I wanted to make a pillow cover for a 20x20 insert [the ones from IKEA]. 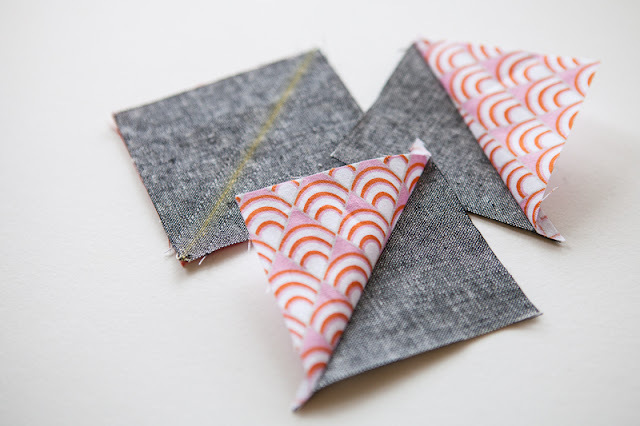 Now I am undecided what I want to do with this because it's so cute! Finished is 16.5 x 16.5" without a border. 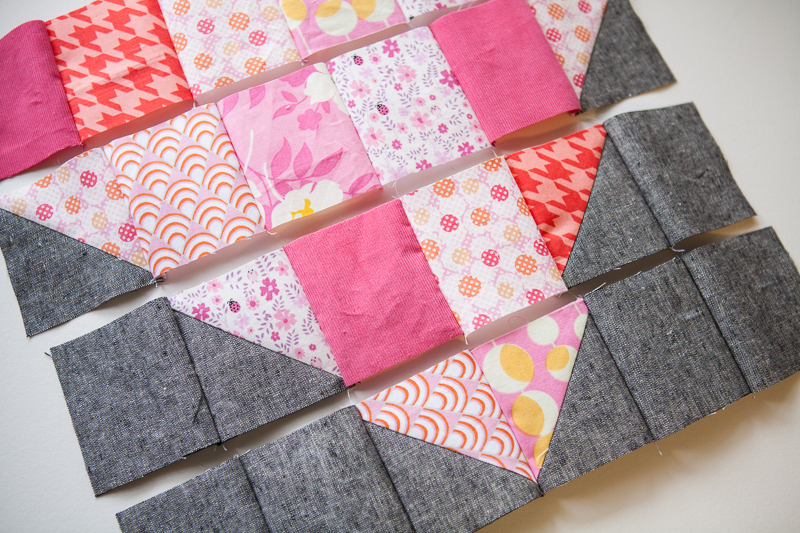 The border would put me at about 19.5" square so perfect for the pillow insert. But maybe a mini quilt that I can hang? 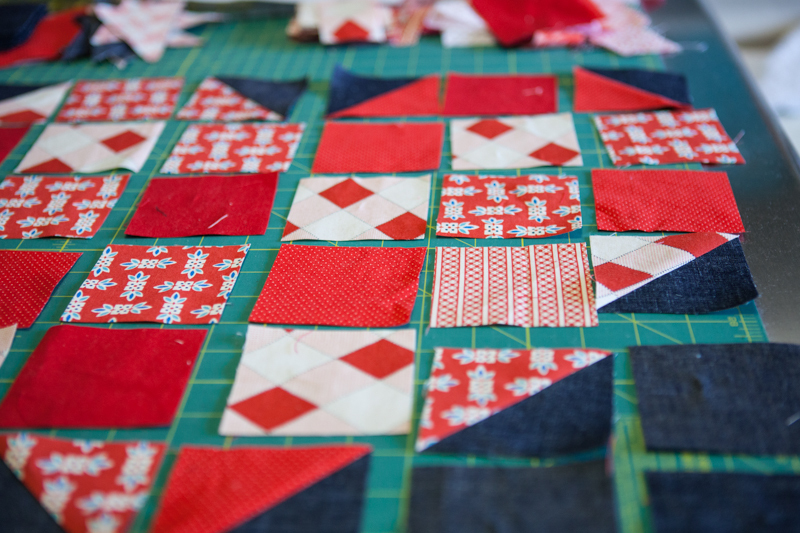 or the first block of a larger quilt? These are all great problems to have right? 20 - red blocks 3 1/8"
6 - dark blue blocks 3 1/8"
5 - red blocks 3 1/2"
5 - dark blue blocks 3 1/2"
The 3 1/2" blocks are for your HST - I am not going to go into details on how to do HST [half square triangles] since there are several great ones out there. 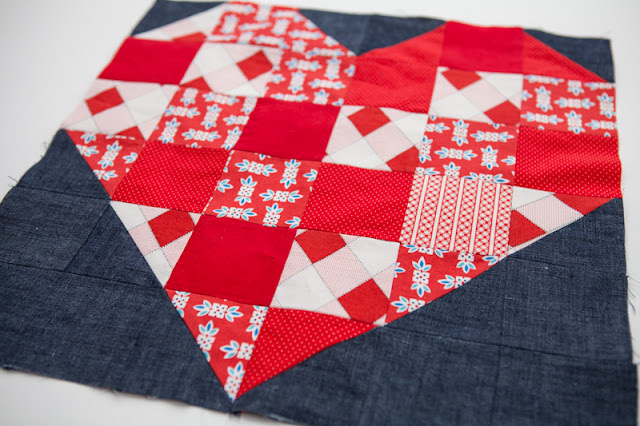 Now all you need to do is layout out all the blocks to make up the heart shape, sew the blocks together to make rows and sew the rows together to make the patchwork heart. 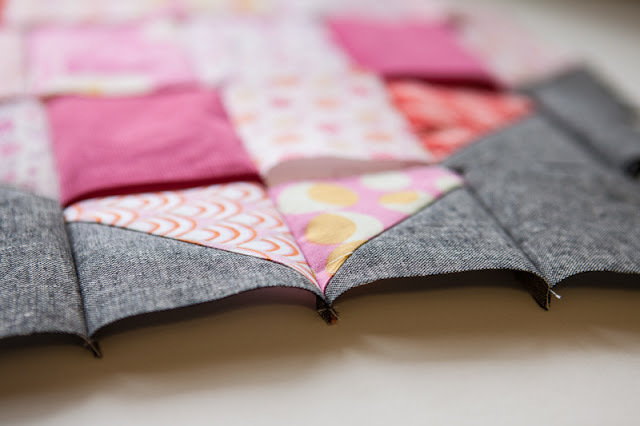 TIP: I usually press my seams open; but on piecing like this where I need my points/seams to match up I press them to the side alternating each row. For me is seems to work out better this way. If you start today you could have this done in time for Valentine's Day!